I Now Offer "Dobro® Workshops"! 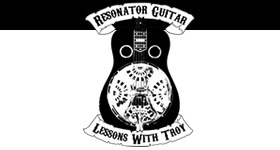 If you are interested in having me give a Dobro® Workshop in your part of the world and know of a place where it could be held, please contact me either by phone 314-420-5261 or by email Troy@LessonsWithTroy.com and I will see if I can make it happen! Thanks! I'm looking forward to traveling and teaching! !